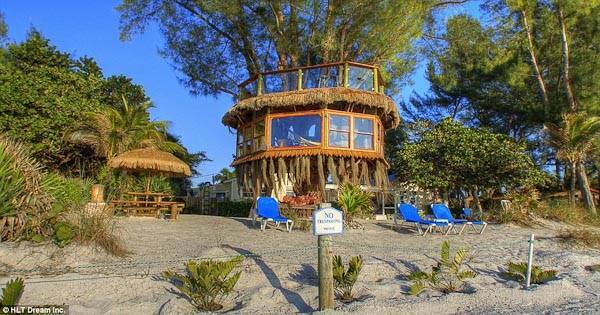 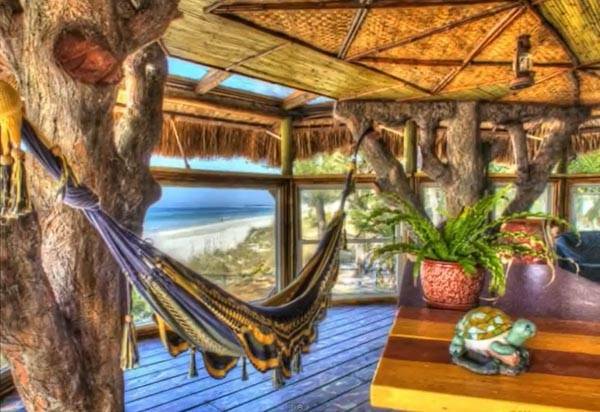 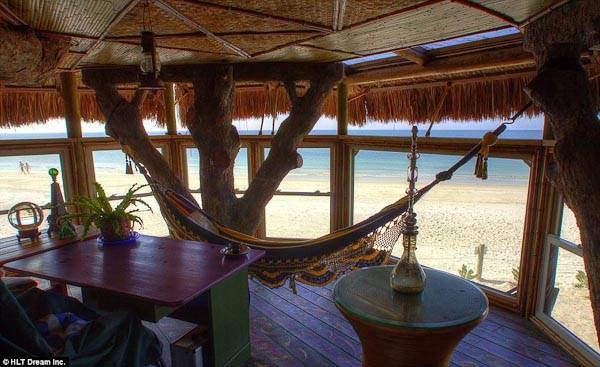 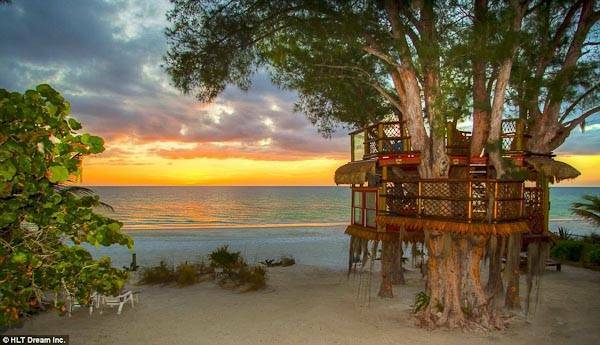 The owners of this magnificent beachside treehouse bought a property on Anna Maria Island in the early 90s. 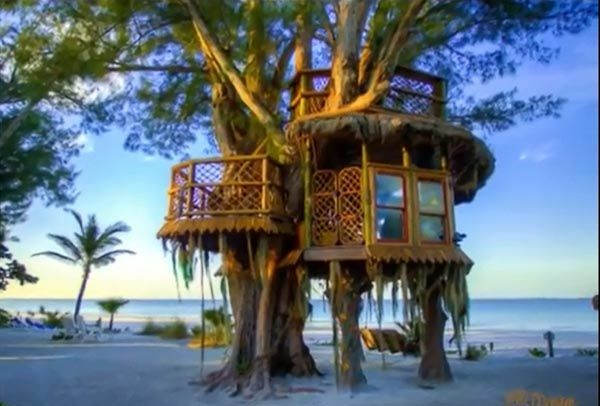 While watching sunsets from their house they always wondered what the view would be like from the big Australian pine tree between them and the beach so they built this treehouse to find out. 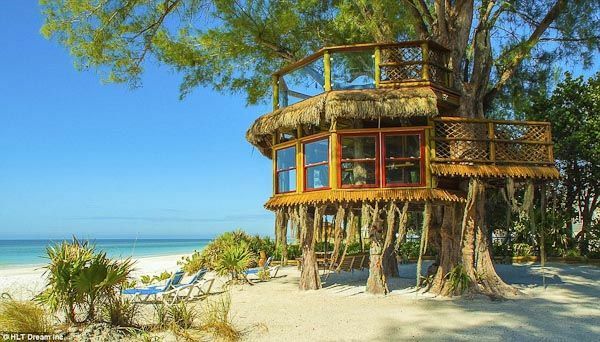 The 2 octagonal levels wrap around it like a nest becoming "a love hut without walls, a private spiritual escape up high in the whistling pine tree, a hideout with a gorgeous view of the white sand beach, multicolored sunsets, and starry moonlit nights."